The BJP on Tuesday alleged that JNU student leader Kanhaiya Kumar's visit to Bihar was funded by the state's liquor mafia. 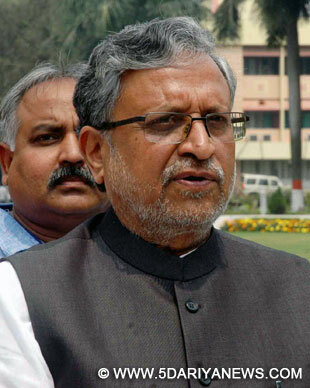 "Kanhaiya Kumar's visit to Bihar was funded by the liquor mafia," former deputy chief minister Sushil Kumar Modi told the media here.Modi said the organisers had no money to book the hall for Kanhaiya Kumar's programme on Sunday. "The programme was funded by the liquor mafia," he said.Kanhaiya Kumar, who is facing sedition charges and is currently out on bail, was on a visit to his home state for two days, and addressed a meeting in Patna where he criticised Prime Minister Narendra Modi for 'failing' to fulfill his promises.